The Frieda Belinfante Class Act partnership connects Pacific Symphony to a select number of Orange County elementary schools each year. Schools are invited to participate in this unique partnership program through a competitive application process. Class Act strives to enhance existing school music programs by providing additional musical experience through the Symphony. Focusing on six main "contact points" with schools, the program works to increase awareness of and involvement with symphonic music for elementary school students, their families and educators. Each year, students form a relationship with a new Symphony musician who serves as a "Class Act teaching artist," through activities including classroom lessons, ensemble performances, assemblies and either a Youth Concert at Renée and Henry Segerstrom Concert Hall for older students or an Interactive Performance on-site for younger students. All activities feature the music of the Class Act Composer of the Year. Teacher Workshops, given on-site at partner schools, foster high-quality classroom instruction and offer curricular materials designed to enhance the objectives of the program. Dedicated volunteers from each school form the backbone of the program, and allow for a true partnership experience. 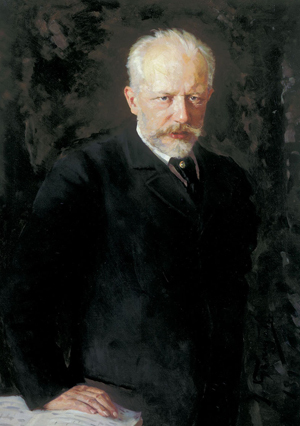 This year Class Act will explore the theme of “Symphonic Storytelling” through the music of Peter Ilyich Tchaikovsky. Class Act has been recognized by the League of American Orchestras and the National Endowment for the Arts as one of the nine most exemplary music education programs in the United States. Applications for Class Act 2019-20 are now being accepted! Schools interested in applying for Class Act 2019-20 should review the Information Packet below and complete the Class Act New School Application 2019-20. All completed applications are due no later than Friday, April 26, 2019 at 5 p.m. If you have questions about Class Act or the application process, please contact Eileen Regullano, Education & Engagement Manager, at (714) 876-2317 or eregullano@pacificsymphony.org.